6352600 BPU15 TOYOTA 6BPU15 Stacker Pallet. Spare parts catalog. Service (workshop) Manual. 6352601 BPUE15 TOYOTA 7BPUE15 Stacker Pallet. Spare parts catalog. Service (workshop) Manual. 6352602 HB20 TOYOTA HB20 Stacker Pallet. Spare parts catalog. Service (workshop) Manual. 6352603 HB24 TOYOTA HB24 Stacker Pallet. Spare parts catalog. Service (workshop) Manual. 6352604 HB30 TOYOTA HB30 Stacker Pallet. Spare parts catalog. Service (workshop) Manual. 6352605 HBA20 TOYOTA HBA20 Stacker Pallet. Spare parts catalog. Service (workshop) Manual. 6352606 HBC30 TOYOTA 6HBC30 Stacker Pallet. Spare parts catalog. Service (workshop) Manual. 6352607 HBC30 TOYOTA 7HBC30 Stacker Pallet. Spare parts catalog. Service (workshop) Manual. 6352608 HBC30 TOYOTA 8HBC30 Stacker Pallet. Spare parts catalog. Service (workshop) Manual. 6352609 HBC40 TOYOTA 6HBC40 Stacker Pallet. Spare parts catalog. Service (workshop) Manual. 6352610 HBC40 TOYOTA 7HBC40 Stacker Pallet. Spare parts catalog. Service (workshop) Manual. 6352611 HBC40 TOYOTA 8HBC40 Stacker Pallet. Spare parts catalog. Service (workshop) Manual. 6352612 HBE30 TOYOTA 6HBE30 Stacker Pallet. Spare parts catalog. Service (workshop) Manual. 6352613 HBE30 TOYOTA 7HBE30 Stacker Pallet. Spare parts catalog. Service (workshop) Manual. 6352614 HBE30 TOYOTA 8HBE30 Stacker Pallet. Spare parts catalog. Service (workshop) Manual. 6352615 HBE40 TOYOTA 6HBE40 Stacker Pallet. Spare parts catalog. Service (workshop) Manual. 6352616 HBE40 TOYOTA 7HBE40 Stacker Pallet. Spare parts catalog. Service (workshop) Manual. 6352617 HBE40 TOYOTA 8HBE40 Stacker Pallet. Spare parts catalog. Service (workshop) Manual. 6352618 HBW13 TOYOTA HBW13 Stacker Pallet. Spare parts catalog. Service (workshop) Manual. 6352619 HBW18 TOYOTA HBW18 Stacker Pallet. Spare parts catalog. Service (workshop) Manual. 6352620 HBW20 TOYOTA HBW20 Stacker Pallet. Spare parts catalog. Service (workshop) Manual. 6352621 HBW20 TOYOTA 6HBW20 Stacker Pallet. Spare parts catalog. Service (workshop) Manual. 6352622 HBW20 TOYOTA HBW20 Stacker Pallet. Spare parts catalog. Service (workshop) Manual. 6352623 HBW23 TOYOTA 6HBW23 Stacker Pallet. Spare parts catalog. Service (workshop) Manual. 6352624 HBW23 TOYOTA 7HBW23 Stacker Pallet. Spare parts catalog. Service (workshop) Manual. 6352625 HBW30 TOYOTA HBW30 Stacker Pallet. Spare parts catalog. Service (workshop) Manual. 6352626 HBW30 TOYOTA 6HBW30 Stacker Pallet. Spare parts catalog. Service (workshop) Manual. 6352627 HBW30 TOYOTA 7HBW30 Stacker Pallet. Spare parts catalog. Service (workshop) Manual. 6352628 HBW30 TOYOTA 8HBW30 Stacker Pallet. Spare parts catalog. Service (workshop) Manual. 6352629 HBWA20 TOYOTA HBWA20 Stacker Pallet. Spare parts catalog. Service (workshop) Manual. 6352630 HBWA30 TOYOTA HBWA30 Stacker Pallet. Spare parts catalog. Service (workshop) Manual. 6352631 HFW6 TOYOTA 2HFW6 Stacker Pallet. Spare parts catalog. Service (workshop) Manual. 6352632 HFW9 TOYOTA 2HFW9 Stacker Pallet. Spare parts catalog. Service (workshop) Manual. 6352633 HLC9 TOYOTA HLC9 Stacker Pallet. Spare parts catalog. Service (workshop) Manual. 6352634 HOBP3 TOYOTA 2HOBP3 Stacker Pallet. Spare parts catalog. Service (workshop) Manual. 6352635 HPB20 TOYOTA HPB20 Stacker Pallet. Spare parts catalog. Service (workshop) Manual. 6352636 HPB20 TOYOTA 2HPB20 Stacker Pallet. Spare parts catalog. Service (workshop) Manual. 6352637 HPB25 TOYOTA HPB25 Stacker Pallet. Spare parts catalog. Service (workshop) Manual. 6352638 HPB25 TOYOTA 2HPB25 Stacker Pallet. Spare parts catalog. Service (workshop) Manual. 6352639 HPBM40 TOYOTA 2HPBM40 Stacker Pallet. Spare parts catalog. Service (workshop) Manual. 6352640 HPR20 TOYOTA 2HPR20 Stacker Pallet. Spare parts catalog. Service (workshop) Manual. 6352641 HPW20 TOYOTA 2HPW20 Stacker Pallet. Spare parts catalog. Service (workshop) Manual. 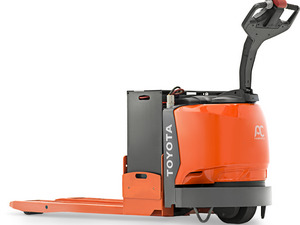 6352642 HS2 TOYOTA HS2 Stacker Pallet. Spare parts catalog. Service (workshop) Manual. 6352643 HS3 TOYOTA HS3 Stacker Pallet. Spare parts catalog. Service (workshop) Manual. 6352644 HS5 TOYOTA HS5 Stacker Pallet. Spare parts catalog. Service (workshop) Manual. 6352645 HS6 TOYOTA HS6 Stacker Pallet. Spare parts catalog. Service (workshop) Manual. 6352646 HSB3 TOYOTA HSB3 Stacker Pallet. Spare parts catalog. Service (workshop) Manual. 6352647 HSB5 TOYOTA HSB5 Stacker Pallet. Spare parts catalog. Service (workshop) Manual. 6352648 HSB6 TOYOTA HSB6 Stacker Pallet. Spare parts catalog. Service (workshop) Manual. 6352649 HSW5 TOYOTA 2HSW5 Stacker Pallet. Spare parts catalog. Service (workshop) Manual. 6352650 HSW6 TOYOTA 3HSW6 Stacker Pallet. Spare parts catalog. Service (workshop) Manual. 6352651 HSW7 TOYOTA 2HSW7 Stacker Pallet. Spare parts catalog. Service (workshop) Manual. 6352652 HSW9 TOYOTA 2HSW9 Stacker Pallet. Spare parts catalog. Service (workshop) Manual. 6352653 HSW9 TOYOTA 3HSW9 Stacker Pallet. Spare parts catalog. Service (workshop) Manual. 6352654 LB10 TOYOTA LB10 Stacker Pallet. Spare parts catalog. Service (workshop) Manual. 6352655 LB10 TOYOTA 2LB10 Stacker Pallet. Spare parts catalog. Service (workshop) Manual. 6352656 LB10S TOYOTA LB10S Stacker Pallet. Spare parts catalog. Service (workshop) Manual. 6352657 LB13 TOYOTA LB13 Stacker Pallet. Spare parts catalog. Service (workshop) Manual. 6352658 LB13 TOYOTA 2LB13 Stacker Pallet. Spare parts catalog. Service (workshop) Manual. 6352659 LB13S TOYOTA LB13S Stacker Pallet. Spare parts catalog. Service (workshop) Manual. 6352660 LB15 TOYOTA LB15 Stacker Pallet. Spare parts catalog. Service (workshop) Manual. 6352661 LB15 TOYOTA 2LB15 Stacker Pallet. Spare parts catalog. Service (workshop) Manual. 6352662 LB15S TOYOTA LB15S Stacker Pallet. Spare parts catalog. Service (workshop) Manual. 6352663 LOP10 TOYOTA LOP10 Stacker Pallet. Spare parts catalog. Service (workshop) Manual. 6352664 LOP10CF TOYOTA 7LOP10CF Stacker Pallet. Spare parts catalog. Service (workshop) Manual. 6352665 LOP10CW/CF TOYOTA LOP10CW/CF Stacker Pallet. Spare parts catalog. Service (workshop) Manual. 6352666 LOP10CW TOYOTA 7LOP10CW Stacker Pallet. Spare parts catalog. Service (workshop) Manual. 6352667 LOP10CWS TOYOTA 7LOP10CWS Stacker Pallet. Spare parts catalog. Service (workshop) Manual. 6352668 LOP12 TOYOTA 7LOP12 Stacker Pallet. Spare parts catalog. Service (workshop) Manual. 6352669 LOP12P TOYOTA 7LOP12P Stacker Pallet. Spare parts catalog. Service (workshop) Manual. 6352670 LOP20 TOYOTA LOP20 Stacker Pallet. Spare parts catalog. Service (workshop) Manual. 6352671 LOP25 TOYOTA 7LOP25 Stacker Pallet. Spare parts catalog. Service (workshop) Manual. 6352672 LOP25P TOYOTA 7LOP25P Stacker Pallet. Spare parts catalog. Service (workshop) Manual. 6352673 PLL22 TOYOTA PLL22 Stacker Pallet. Spare parts catalog. Service (workshop) Manual. 6352674 PLL22-8 TOYOTA PLL22-8 Stacker Pallet. Spare parts catalog. Service (workshop) Manual. 6352675 PLL24 TOYOTA 2PLL24 Stacker Pallet. Spare parts catalog. Service (workshop) Manual. 6352676 PLL24 TOYOTA 7PLL24 Stacker Pallet. Spare parts catalog. Service (workshop) Manual. 6352677 PM 14 TOYOTA PM14 Stacker Pallet. Spare parts catalog. Service (workshop) Manual. 6352678 PM 16 TOYOTA PM16 Stacker Pallet. Spare parts catalog. Service (workshop) Manual. 6352679 PM18 TOYOTA 2PM18 Stacker Pallet. Spare parts catalog. Service (workshop) Manual. 6352680 PM18 TOYOTA 7PM18 Stacker Pallet. Spare parts catalog. Service (workshop) Manual. 6352681 PM20 TOYOTA PM20 Stacker Pallet. Spare parts catalog. Service (workshop) Manual. 6352682 PM20 TOYOTA 2PM20 Stacker Pallet. Spare parts catalog. Service (workshop) Manual. 6352683 PM20 TOYOTA 7PM20 Stacker Pallet. Spare parts catalog. Service (workshop) Manual. 6352684 PM20N TOYOTA 2PM20N Stacker Pallet. Spare parts catalog. Service (workshop) Manual. 6352685 PM20N TOYOTA 7PM20N Stacker Pallet. Spare parts catalog. Service (workshop) Manual. 6352686 PML TOYOTA 2PML Stacker Pallet. Spare parts catalog. Service (workshop) Manual. 6352687 PML20 TOYOTA PML20 Stacker Pallet. Spare parts catalog. Service (workshop) Manual. 6352688 PML20 TOYOTA 2PML20 Stacker Pallet. Spare parts catalog. Service (workshop) Manual. 6352689 PML20 TOYOTA 7PML20 Stacker Pallet. Spare parts catalog. Service (workshop) Manual. 6352690 PML20/6 TOYOTA 2PML20/6 Stacker Pallet. Spare parts catalog. Service (workshop) Manual. 6352691 PML20/6 TOYOTA 7PML20/6 Stacker Pallet. Spare parts catalog. Service (workshop) Manual. 6352692 PML20/8 TOYOTA 2PML20/8 Stacker Pallet. Spare parts catalog. Service (workshop) Manual. 6352693 PML20/8 TOYOTA 7PML20/8 Stacker Pallet. Spare parts catalog. Service (workshop) Manual. 6352694 PP13 TOYOTA PP13 Stacker Pallet. Spare parts catalog. Service (workshop) Manual. 6352695 SLL12,5 TOYOTA SLL12,5 Stacker Pallet. Spare parts catalog. Service (workshop) Manual. 6352696 SLL12.5 TOYOTA 7SLL12.5 Stacker Pallet. Spare parts catalog. Service (workshop) Manual. 6352697 SLL12,5F TOYOTA SLL12,5F Stacker Pallet. Spare parts catalog. Service (workshop) Manual. 6352698 SLL12,5F TOYOTA 7SLL12,5F Stacker Pallet. Spare parts catalog. Service (workshop) Manual. 6352699 SLL13,5S TOYOTA SLL13,5S Stacker Pallet. Spare parts catalog. Service (workshop) Manual. 6352700 SLL13,5S TOYOTA 7SLL13,5S Stacker Pallet. Spare parts catalog. Service (workshop) Manual. 6352701 SLL16 TOYOTA SLL16 Stacker Pallet. Spare parts catalog. Service (workshop) Manual. 6352702 SLL16 TOYOTA 7SLL16 Stacker Pallet. Spare parts catalog. Service (workshop) Manual. 6352703 SLL16F TOYOTA SLL16F Stacker Pallet. Spare parts catalog. Service (workshop) Manual. 6352704 SLL16F TOYOTA 7SLL16F Stacker Pallet. Spare parts catalog. Service (workshop) Manual. 6352705 SM08F TOYOTA 7SM08F Stacker Pallet. Spare parts catalog. Service (workshop) Manual. 6352706 SM10 TOYOTA SM10 Stacker Pallet. Spare parts catalog. Service (workshop) Manual. 6352707 SM10 TOYOTA 7SM10 Stacker Pallet. Spare parts catalog. Service (workshop) Manual. 6352708 SM12 TOYOTA SM12 Stacker Pallet. Spare parts catalog. Service (workshop) Manual. 6352709 SM12 TOYOTA 7SM12 Stacker Pallet. Spare parts catalog. Service (workshop) Manual. 6352710 SM12F TOYOTA SM12F Stacker Pallet. Spare parts catalog. Service (workshop) Manual. 6352711 SM12F TOYOTA 7SM12F Stacker Pallet. Spare parts catalog. Service (workshop) Manual. 6352712 SM12S TOYOTA SM12S Stacker Pallet. Spare parts catalog. Service (workshop) Manual. 6352713 SM12S TOYOTA 7SM12S Stacker Pallet. Spare parts catalog. Service (workshop) Manual. 6352714 SM16D TOYOTA 7SM16D Stacker Pallet. Spare parts catalog. Service (workshop) Manual. 6352715 SMH16 TOYOTA SMH16 Stacker Pallet. Spare parts catalog. Service (workshop) Manual. 6352716 SP10 TOYOTA SP10 Stacker Pallet. Spare parts catalog. Service (workshop) Manual. 6352717 SP10S TOYOTA SP10S Stacker Pallet. Spare parts catalog. Service (workshop) Manual. 6352718 TB50 TOYOTA 6TB50 Stacker Pallet. Spare parts catalog. Service (workshop) Manual. 6352719 TB50 TOYOTA 7TB50 Stacker Pallet. Spare parts catalog. Service (workshop) Manual. 6352720 TB50 TOYOTA 8TB50 Stacker Pallet. Spare parts catalog. Service (workshop) Manual.